I feel like it is much more exciting to receive this box when I know I'll be photographing the items inside and sharing the contents with you here on the blog, so I think I'll go ahead and continue these posts as long as I'm getting these boxes! Plus, this is the only subscription box I receive, so it always feels like a tiny holiday in my mailbox when it arrives. Even when I'm not head-over-heels for the items inside, it still feels like a treat! Curel Hydratherapy Moisturizer — I haven't tried this moisturizer, and I'm not sure I will go to the effort to use it right after showering (which is how you're supposed to use it). I don't have very dry skin overall, so I don't often use moisturizers aside from my facial moisturizer. Neutrogena Hand Cream — I gave this to Jay, because I just don't think I'll use it. I already have a bunch of hand cream and/or lotion samples on hand, so although this one seems to work very well (I like that it's clear and unscented), I thought I'd pass it along to the husband for his travel bag. TRESemme Volumizing Dry Shampoo — This was perfect timing, because I ran out of dry shampoo and then this arrived on my doorstep! (Or mailbox.) I've used this dry shampoo many times, and although it's not my favorite, it still works very well and I like the price point. Burt's Bees Lotion — I've received a sample of this same lotion in a couple boxes of baby samples, and it smells just wonderful. I like to keep these in my diaper bag and in a drawer of the changing table, so I'm happy to have more of this lotion, for sure! Dove Body Wash — I feel like there have been Dove samples in nearly every single box I've received, but I can't complain—it's truly my favorite body wash! I like using these samples because you actually get quite a few uses out of them. I'm eager to try this one. It smells heavenly. A couple foil packets of shampoo/conditioner and few coupons were also inside the box this month. Last month's box was a winner for me, but this month's lacked a little bit. I was a little disappointed because there were three items that were moisturizers (my least favorite sample to receive, because I don't use it often) and there were no full-size products included. I'll still continue my subscription because nearly everything I've received ends up being used at some point, and like I said before, they're just fun to look forward to getting in the mail. If you want to sign up for your own subscription, you can visit the website here. Each box is only $5 and they ship once every season. 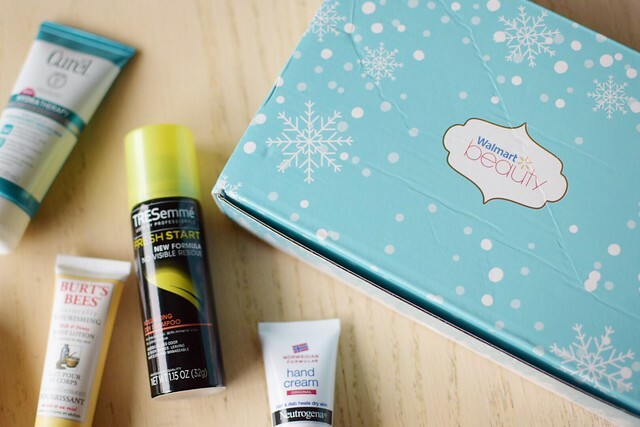 And as always, I pay for each of these boxes myself and this in no way a sponsored post—but this is such a fun, inexpensive subscription box overall, and I totally recommend trying it out a few times yourself! 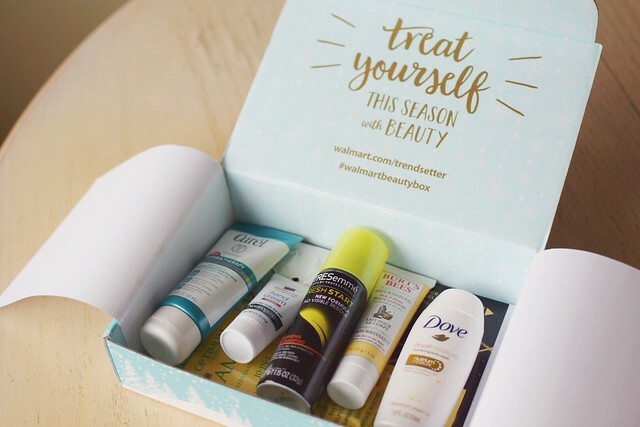 Did you get this month's box? I'm always curious about the different versions and what other people receive. I agree that this month was... fine. It wasn't good or bad, just fine by me. I wish it had had some beauty item in it, or at least something slightly unusual or new to me. I do love that Neutrogena hand cream - it's one of THE most moisturizing out there, & I'm an alligator in winter - & I, too, needed the dry shampoo, so it was good timing. But overall... meh. Still, for $5, who can complain much?! My box was different! Usually I feel like they're all the same. I received a packet of shampoo/conditioner, a full size Covergirl mascara, Ponds anti-wrinkle face cream, Dove deodorant, but the same Dove (enough Dove!) 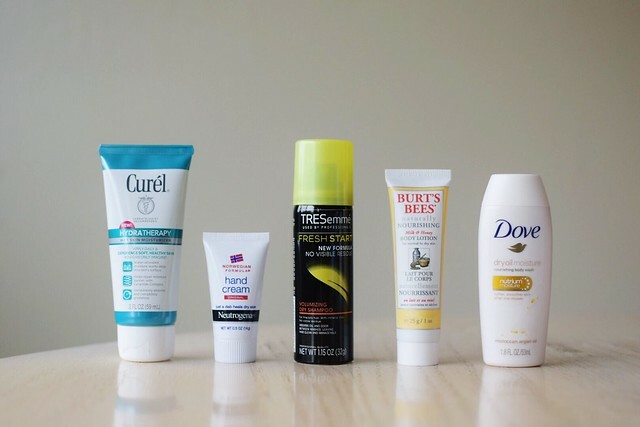 body wash and Curel lotion. I've actually used that Neutrogena Hand Cream for years and years, mostly to dab on dry spots on my face! Totally works when I rub it into the places I need, before I put on my moisturizer and make up.